Positive things to say when you’re initiating or responding to a difficult conversation. How to find and craft language to start a conversation. The right words for you to positively influence the situation. 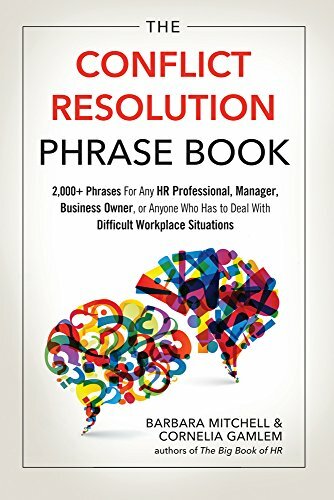 The Conflict Resolution Phrase Book is a natural complement to the authors’ previous best-seller, The Essential Workplace Conflict Handbook.